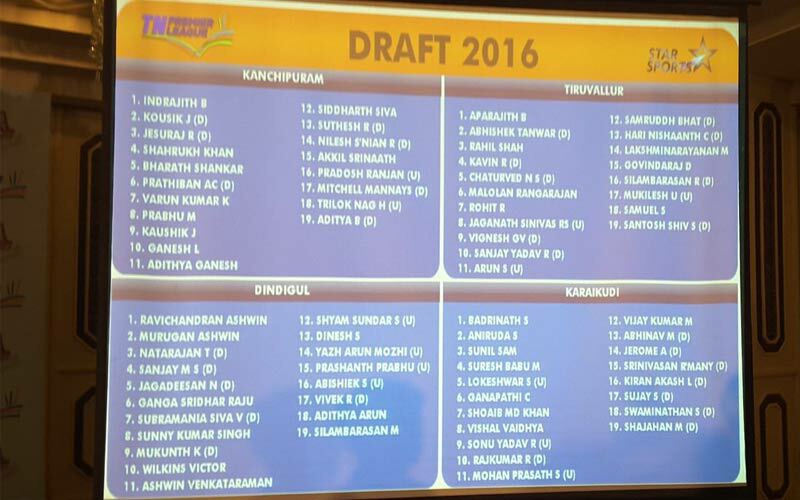 TNPL Squads List 2016: The Player Draft of Inaugural Tamil Nadu Premier League (TNPL) 2016 was held on Saturday (July 30, 2016) at the Crowne Plaza Hotel. 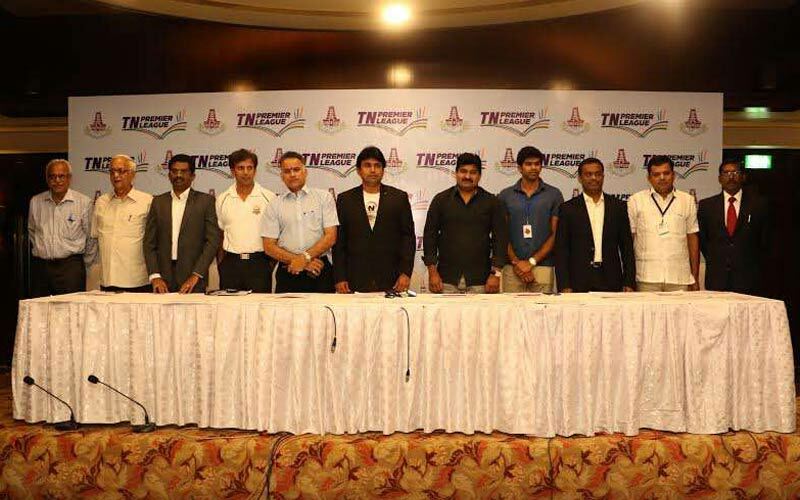 TNPL is the Twenty20 tournament for the Eight local teams in Tamil Nadu. In this Inauguration, the officials were announced that the Indian team off-spin bowler Ravichandran Ashwin will play for the Dindigul team. Dinesh Karthik will play for the team, Thoothukudi, and Murali Vijay for Coimbatore team. Scroll down and get the TNPL Squads List. The Total Price money worth for this TNPL 2016 is Rs. 3.40 crore. The Final winner of TNPL will take home Rs. 1 crore. Runner-up team will take Rs. 60 lakh. The third and fourth team will receive the prize money Rs. 40 lakh each. The TNPL 2016 T20 Tournaments will begin on 27 August 2016, and the Final match will hold on 18 September 2016. We provided the TNPL Squads List 2016 here below along with the Owners Name. Badrinath, Aniruda, Sunil Sam, Suresh Babu, Lokeshwar, Ganapathi Chandrasekar, Shoaib MD Khan, Vishal Vaidhya, Sonu Yadav, Rajkumar, Mohan Prasath, Vijay Kumar, Abhinav M, Jerome A, Srinivasan R, Kiran Akash, Sujay S, Swaminathan S, Shahjahan. The TNPL Twitter Page confirmed about TNPL Anthem by tweeted along with the image that we provided here below. Anirudh is now working on the TNPL promo song (TNPL Anthem). It will out shortly. Stay tuned with us by bookmark (Ctrl + D) to get the instant update. 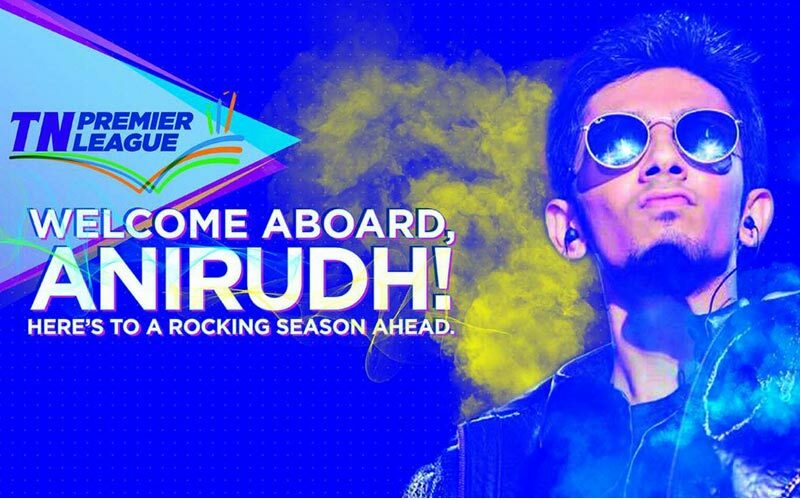 Update 1: The Official TNPL Promo song launched. Latest Update 2: Kollywood Star Simbu and Former Indian Cricket team Opening batsman Virendra Sehwag launched the Madurai Team Logo, Jersey, and Madhuri Team Theme Song on August 10, 2016. Update 3: GVP composing TNPL Anthem of Tuti Patriots. The Anthem Launch at 12.08.2016. Update 4: Kovai Kings Anthem available on YouTube. The Owner of the team, Lyca Production published the TNPL Kovai Theme Anthem song on its YouTube Channel. The song has penned and directed by Vijay, and Sang by Karthik. Update 5: Madurai Super Giants Logo and Madurai Super Giants Anthem Song launched by Formal Indian Cricket opening Batsman Shewag. The Madurai Anthem Song was sung by Simbu (STR), the lyrics of the song was penned by ‘Neruppu Da’ fame Arunraja Kamaraj and the music has composed by S S Thaman. Watch the Madurai Super Giants Anthem Song with Lyrics. Stay tuned for More Updates about TNPL T20 2016.